The AT808G is a voice range moving coil dynamic microphone with a subcardioid pickup pattern. Designed for use as a quality talk-back microphone, it provides excellent intelligibility and dependable performance in entertainment, commercial and industrial voice applications. A custom tailored frequency response allows the users voice to be understood in environments with excessive ambient noise such as restaurants and factories. The AT808G features balanced low impedance output and an integral 3-pin professional connector that plugs directly into a panel jack or microphone cable. It offers a 16.2" gooseneck. 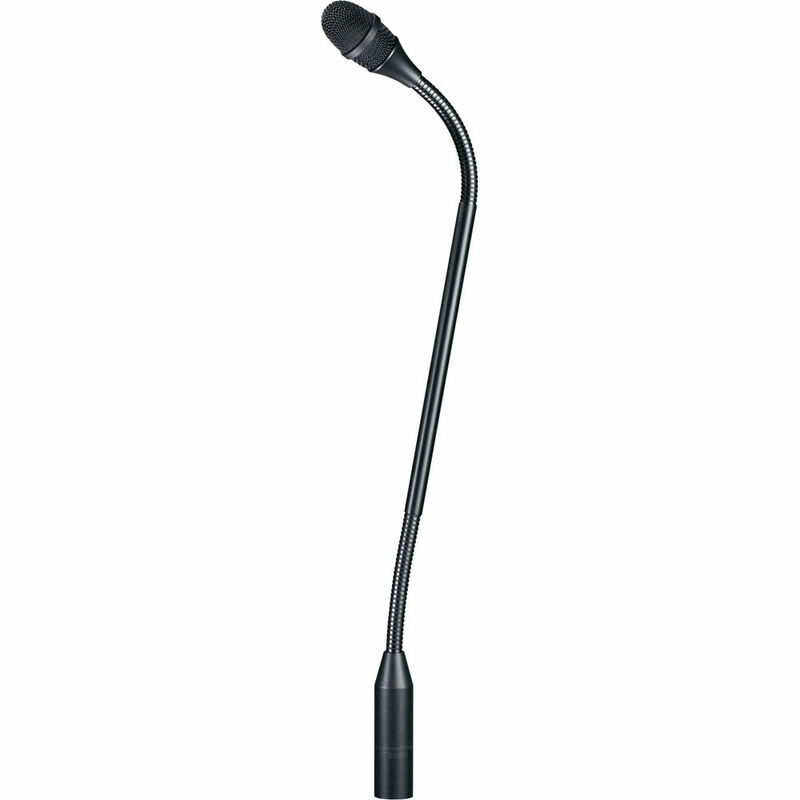 Box Dimensions (LxWxH) 18.4 x 1.65 x 1.6"
AT808G Dynamic Sub-Cardioid Gooseneck Microphone is rated 4.3 out of 5 by 3. Rated 5 out of 5 by Jeff Bennett from Love my AT808G. No TalkBack on mixer? No problem. Workhorse! Been using my AT808G for several years now. Was disappointed when I got my new mixer that it didn't have TalkBack. Wasn't a problem.at a gig now and thought I'd share how much I like this thing. Rated 3 out of 5 by Patrick from Quality, but has flaws Nice quality dynamic talking mic. Really have to hammer the preamp to get useable level. Also, you have to basically eat the mic for it to pickup your voice at a good level. Rated 5 out of 5 by Wood County Dispatch Center from Fast Service Our 911 Dispatch Center requires high quality equipment for trusted communications so we shop here for our microphones. Fast service ensures we are never down.